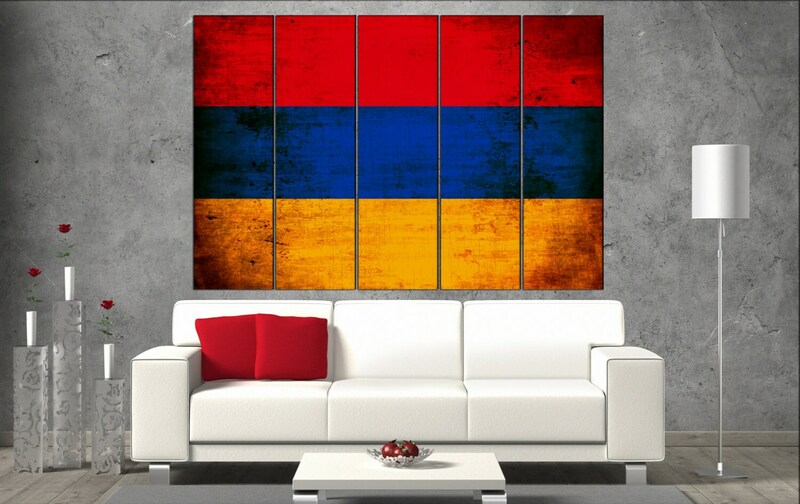 Armenia country flag wall art canvas. This skyline: Armenia country flag takes 3 up to 5 days to produce. 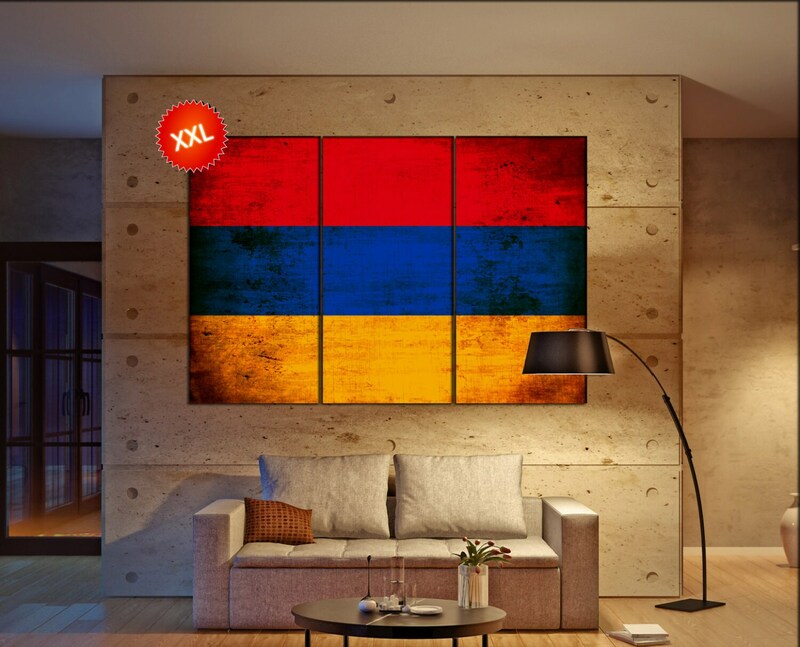 Need a special size for Armenia country flag, feel free to contact at any time. 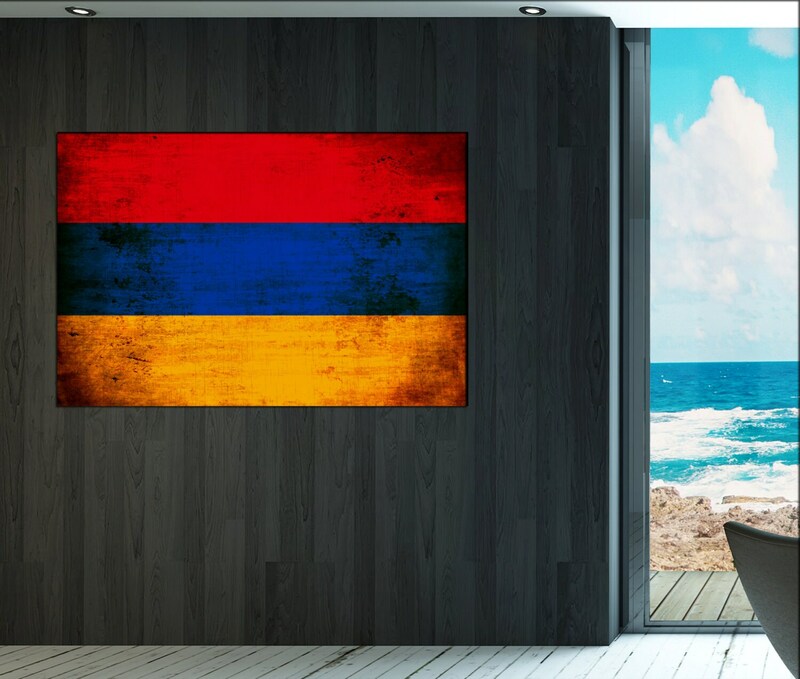 Most information about Armenia country flag You will receive one, three or five 5 panels / boards with high quality canvas wall art prints. Your product will be ready to hang! Meaning of ready to hang: You will receive your product as a finished product. The canvas wall art prints are wrapped and stretched around a pinewood frame. After receiving the products, you can hang them instantly. - High quality wall art cotton canvas produced in Germany. 3 panels total size Inch 51"x77" : panel size 51"x25.6"
3 panels total size Inch 47"x71" : panel size 47"x23.6"
3 panels total size Inch 43"x65" : panel size 43"x21.6"
3 panels total size Inch 39"x59" : panel size 39"x19.6"
3 panels total size Inch 35"x53" : panel size 35"x17.6"
3 panels total size Inch 31"x47" : panel size 31"x15.6"
3 panels total size Inch 27"x41" : panel size 27"x13.6"
3 panels total size Inch 23"x35" : panel size 23"x11.6"
1 panel total size 39"x26"
1 panel total size 35"x23"
-We deliver this product wrapped en stretched, ready to hang! Unbox, hang and enjoy! -We scaled the sizes of our products based on the original Image. You will receive a high quality print of the original Image that is not stretched or deformed. If you are looking for a size that is not mentioned. Please contact us. We can print and wrap most custom sizes. Feel free to contact. We ship as fast as possible. We usually take three to five days to complete your order. After printing and wrapping we will carefully pack your product in bubble plastic and carton. Track and trace will be provided. Worldwide shipping, no exceptions! Please understand that we have no influence on delays caused by customs. High quality item, extremely fast shipping. Very ethical seller to purchase from. Thank you!